Sephi and Maya are both big shedders. Maya’s hair just falls off and floats everywhere whereas Sephi’s comes out in big clumps. Needless to say, keeping dog hair off my floors and off my clothes is a constant battle. I have used several different types of dog brushes over the years and can tell you with confidence which dog brushes and which techniques work best. Before I share this information with you, let me advise that there is no absolute end-all solution. Even with the best products, a dog who tends to shed is still going to shed. And the right tools will help the most if you use them continuously. The types of dog brushes which have worked best for me include the FURminator, rubber dog brushes, undercoat rakes, and slicker dog brushes. The FURminator is more of a brand and their products include rubber dog brushes and undercoat rakes. But they also have a specific dog brush called the de-shedding tool. This product works very very well in removing your dog’s undercoat which is the part of the coat that is being shed. Rubber dog brushes also work very well. When I was Sephi with this brush, it does wonders. I was pleasantly surprised when I used this brush at the dog wash (called U-Wash Puppy in Shawnee Mission, Kansas). The rubber dog brush, also called a curry brush, is also great on short-haired dogs like Maya and can be used on wet or dry fur. The undercoat rake tends to work better on large dogs who have a thick wooly undercoat. Sephi’s undercoat is definitely thick and wooly in the spring (the worst time of year for shedding). This is the tool I use the most. Although I like the FURminator the best, the slicker dog brushes are easier to use. I like how it builds up the hair in the bristles rather than let them fly everywhere. I like how they glide through the hair. The slicker dog brush is the brush I use every day. I use the FURminator once a week, or once a day during shedding season. Other dog brushes include the bristle brush, de-matting comb, and pin brush. The bristle dog brushes and pin dog brushes do not work very well at all and should only be used in final grooming touch-ups. And de-matting combs work best for long-haired dogs whose coat tends to matt. They do not work well for de-shedding. This is a great product for helping to loosen your dog’s undercoat during shedding season. FURminator makes a great de-shedding shampoo. I honestly haven’t tried other brands but there are other brands out there. Generally, I brush Sephi and Maya before a bath, during a bath along with the de-shedding shampoo, and after the bath. By far, the best way to reduce the amount of dog hair floating in your house or sticking on your clothes is to brush, brush, and brush your dogs some more. If your dogs are year-around shedders like mine, brush them every day. Use tools like the FURminator de-shedding tool weekly or daily depending on the amount of shedding. When you bathe your dogs, use the de-shedding shampoo as directed. Shedding dogs require a lot of upkeep, but they are worth it. Battling with dog hair doesn’t have to be as difficult if you use the right tools and brush your dogs often. 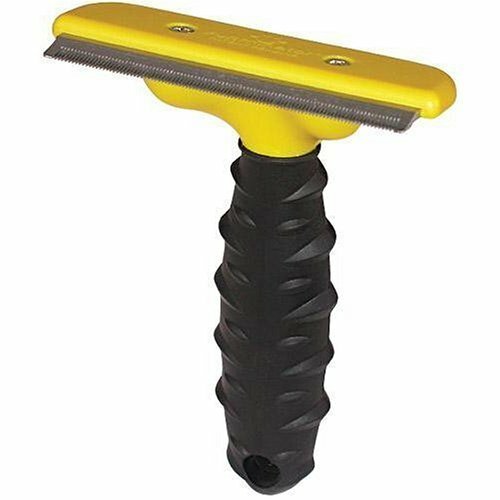 For the FURminator and other great dog brushes and dog shedding tools, visit our Amazon.com affiliated store, Dog Brushes and Combs. What Does it Mean to go to a Veterinary Hospital that is AAHA Accredited? AAHA stands for American Animal Hospital Association. The AAHA is an organization which evaluates animal hospitals throughout the US and Canada on over 800 standards in quality pet care. 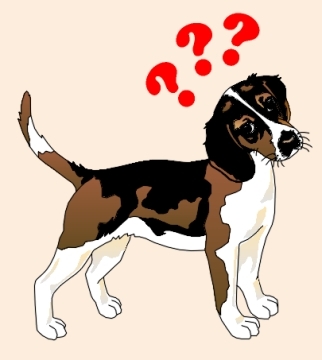 AAHA does not evaluate all animal hospitals. An animal hospital chooses to work to meet AAHA standards then elects be evaluated by the AAHA. If the AAHA finds that the animal hospital meets their standards, then the animal hospital becomes accredited with the AAHA. The AAHA evaluates several areas of pet care including management, diagnostics, pharmaceutical, medical records, medical procedures, quality of care, and more. Once an animal hospital is accredited, they have to be reevaluated every three years in order to make sure they continue to meet the AAHA standards. The animal hospital which I take Sephi and Maya for both routine care and emergency care is the Animal Hospital of Lawrence located in Lawrence, Kansas. This animal hospital is accredited with the AAHA. Although this animal hospital is a bit more expensive than what I am used to, Sephi and Maya are worth it. I’d rather visit an animal hospital which I know has up to date information and technology. For more information on the AAHA, visit their website at www.aahanet.org. The AAHA also has a website called www.healthypet.com which is a great resource for all sorts of health information on dogs. Dogs with bad teeth are the next most common thing that Sephi and Maya’s vet sees. I, too, have had dogs with bad teeth. But some years ago before I got Sephi, I learned that keeping my dog’s teeth healthy is very important. It is also very simple. The easiest thing I do is give my dogs things to chew on. Sephi and Maya always have lots of hard toys and bones to chew. I do not give Sephi and Maya rawhide bones because of their inclination to gorge. Eating a rawhide bone too quickly can cause serious issues if the rawhide gets stuck in their intestines. 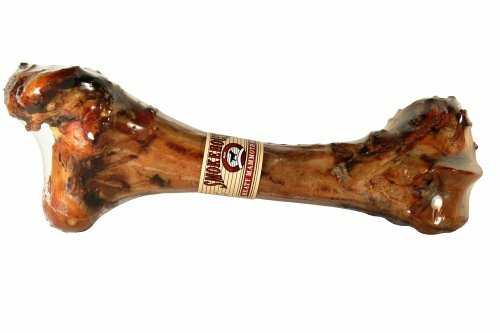 If your dog won’t chew on hard toys or hard bones, you can try a rawhide bone. As with all chew toys and bones, make sure you are able to monitor your dog when he has it. Some dogs will chew a rawhide a little at a time but some dogs will actually eat it in big chunks. If your dog doesn’t like to chew, you will need to brush his teeth on a regular basis. You can get special dog toothpaste from a pet store or from your vet. Your dog probably won’t like to have his teeth brushed, but it is for the best interest of his health. Like being overweight, having bad teeth can also lead to other more serious health issues. Fortunately, Sephi and Maya love to chew and thankfully they only chew the specific toys and bones that I give them. Because they love to chew, they have great teeth with no tartar. Sephi is 10 years old and other than a little yellowness and broken off pieces, her teeth are in better shape than most other dogs her age. For some great toys and treats great for chewing, visit our Amazon affiliated store, Chew Toys and Treats for Dogs. Maintain your dog's weight - keep "bad" foods at a minimum or eliminate from the diet completely. “Sephi and Maya are in perfect health”, says the vet. They are not overweight, their teeth are in good shape for their age, their hearts sound good, their ears are clean, and so on. The vet stated that the two most common problems he sees at his clinic are pets who are overweight and pets who have lots of tarter on their teeth. As you may know, being overweight can lead to other health problems, such as diabetes. The same goes for dogs. Yes, dogs can get diabetes too. The best way to prevent your dog from getting diabetes is to maintain his weight. How do you maintain your dog’s weight? You do it by monitoring his food. Many dogs will eat and eat until they are beyond full. And many owners mistake their dog wanting to eat to mean that their dog is hungry. This is not always the case. Dogs will generally overeat because it is genetically ingrained for them to do so. Consider the wolf. Dogs are a long way domesticated from the wolf, but they still have genetic traits similar to a wolf. A wolf doesn’t get to eat very often. Food is scarce and often hard to come by. So when wolves take down a large animal, they gorge. They eat until they are beyond full because who knows when their next meal will be. Our dogs are fed regularly yet they still tend to have that instinct to gorge. To maintain your dog’s weight, ask your vet how much and how often you should feed him -and stick to it. Don’t let your dog guilt you into feeding him more. Don’t mistake his begging to mean that he is hungry. You can still give your dog treats from time to time, but limit amount and type of treats. If your dog likes really fatty treats, limit these even more so. If you notice your dog is getting a little overweight or is not losing the weight from the diet recommended by the vet, then decrease your dog’s food or change the food to one specifically for overweight dogs. If your dog is losing weight too fast, then increase his food intake. Remember to always exercise your dog regularly to help maintain good health and weight. 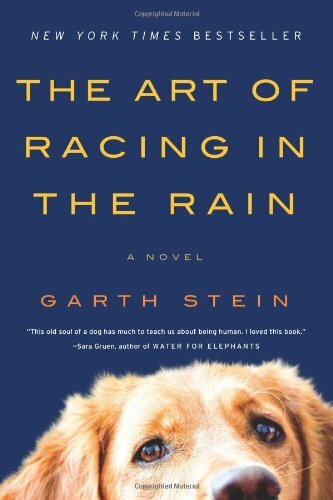 “The Art of Racing in the Rain” by Garth Stein is about the life of a family through the eyes of a dog. Enzo is no ordinary dog. He has a very keen understanding of human emotions and interactions. While his family go through trials and tribulations, Enzo is there to lend a helping paw. Denny is the human Enzo is most loyal to. Denny is an aspiring race car driver who is very good at what he does. Enzo follows him through life where he meets a wonderful woman named Eve, they marry and have a beautiful daughter name Zoe. But Eve dies young. Denny struggles to maintain custody of his daughter as Eve’s parents (who Enzo titles as the Evil Twins) scheme to keep her away from him. Obviously with such trials on his family, Denny’s ambition to become a professional racecar driver takes a backseat, so to speak. It’s Denny’s love of car racing which gives this book its title. But “The Art of Racing in the Rain” isn’t really about car racing. Although Enzo, the narrator of the story, uses car racing idioms the book is really about life – the ability of ordinary people to overcome difficult circumstances. Once I got started, I had a difficult time putting this book down. I read a quarter of it the first night, then a quarter another night, and I finished off the last half of the book in half a day. I hated the “Evil Twins” as much as Enzo. And I admired Denny’s strength and goodness throughout. “The Art of Racing in the Rain” is a well written book which any dog lover will love. 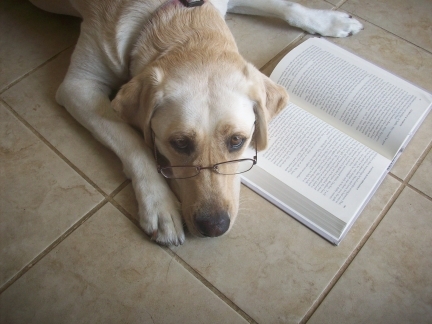 Check out “The Art of Racing in the Rain” at our Amazon.com affiliate site, Dog Lover’s Book Store. Recent deadly tornados in my area had me worrying about what would happen if a tornado hit my neighborhood. Fortunately, I have a basement. But unfortunately, my dogs inhabit the upper level of the house and can’t get to the basement when I am not home. Wednesday, May 25th, there was a tornado warning in downtown Kansas City. I work downtown in Kansas City and was at work at the time. The company I work for has safety features in place where alarms sound and we have designated safety leaders who make sure everyone gets to a center part of the building for safety. It is said that the center part of a house or building is safer than the edges. The basement would have been safer but our company is too big and our building too small for everyone to get in the basement. So we were taken to a center part of the building. Our time spent in this area was a long one-and-a-half hours. I couldn’t help thinking “what if” – What if a tornado hits our building? What about my dogs at home? I had no one to call to make sure my dogs were taken to safety. Fortunately, I know that Sephi is sensitive to thunder and would have gone into the bathroom. The bathroom is not in the center of the home but it has no windows. So what can you do? Talk to a trusted neighbor and see if they would be willing to take your dogs to a safe area until the tornado warning is passed. This may be difficult as you would not want your neighbors to endanger themselves. Or you may not have neighbors you know well enough to give a key to your home. I have good neighbors but I just can’t bring myself to ask them to risk themselves. 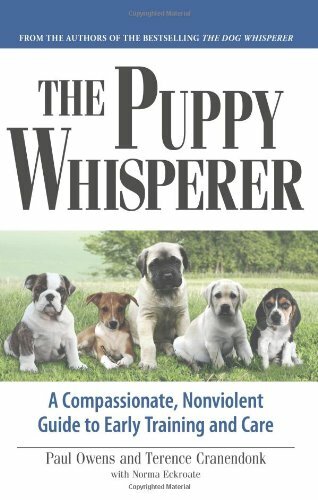 They are not big dog lovers and it really is a hard thing to ask of someone who is not a close friend. Instead, the dogs are now kept in the basement when I am not home during tornado season. The basement is finished and my dogs have all the comforts they need. Another thing you can do is make sure your dogs always wear their id tags. If such a horrible thing happens where a tornado hits your house, hope that your dogs get to safety and are found. If you are home, get you and your family to the basement. If you don’t have a basement, get to the lowermost centermost part of your house. Stay away from corners, windows, doors, and outside walls. Get under a sturdy table and protect your head and neck with your arms. Keep everyone in your family calm, especially pets who won’t understand what is happening and may panic. Natural disasters are hard to predict. They can come without warning. Unfortunately, you don’t always have much time to react to a natural disaster. But if you have warning, act calmly but quickly. 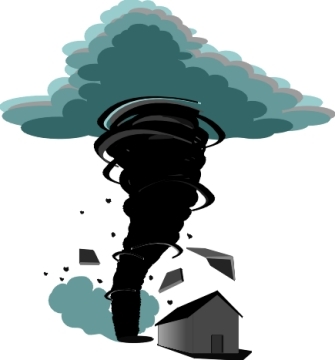 For more information on how to be safe before, during and after a tornado, visit FEMA.gov. Also, here is another great article on how to help your pets in case of an emergency from Paw Prints the Magazine.